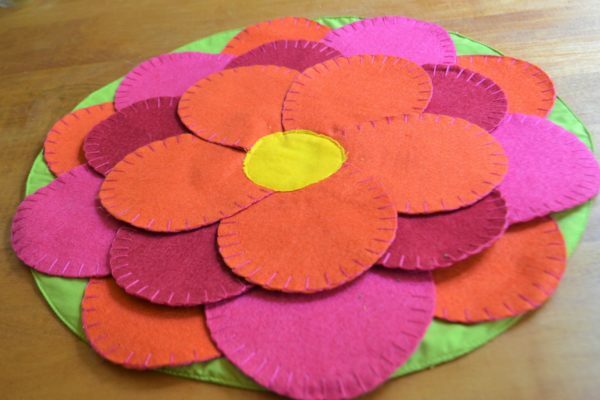 Create this Blooming Flower Placemat for your next spring or summer dinner party. 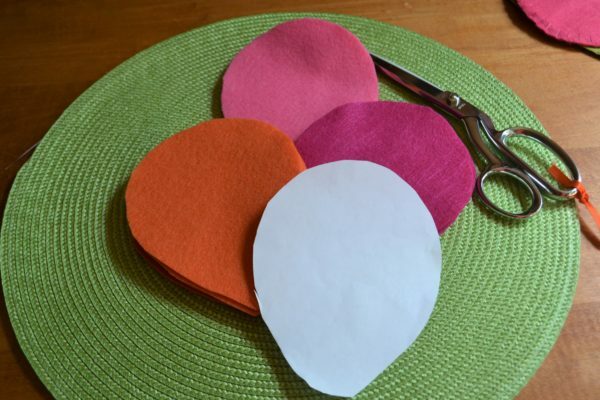 * Create your petal pattern before purchasing felt to help determine size and number of felt squares or pieces you will need. Step 2: Saddle-whip stitch edges of each petal if desired. See tutorial here. 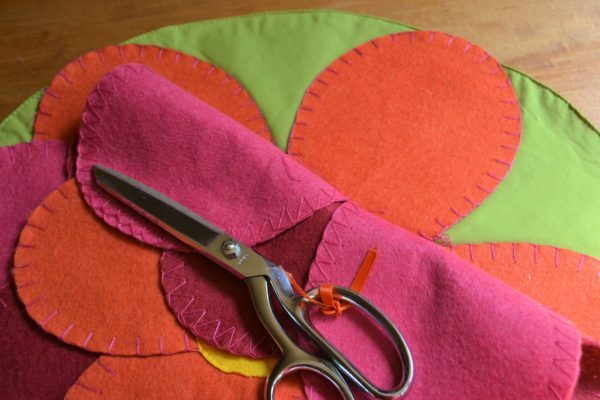 Step 3: Hot glue or stitch 5 orange felt petals to the perimeter of the green base- r placemat. 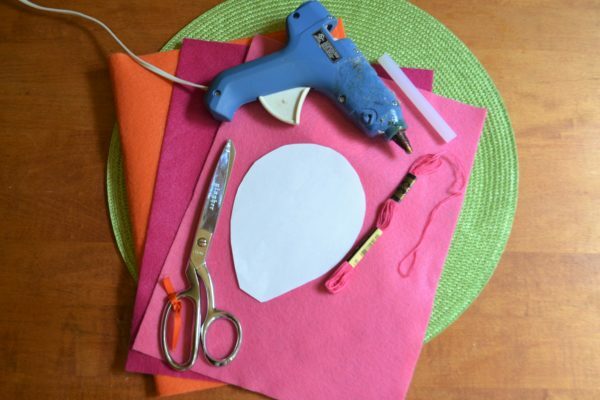 Hot glue or stitch 5 hot pink felt petals in between and on top of space not covered by the orange petals. Hot glue or stitch 5 red or light pink felt petals in between hot pink felt petals, and finish with 5 orange petals in the center. Cover center with yellow round felt piece glue or stitch in place. Step 4: Repeat process per placemat. 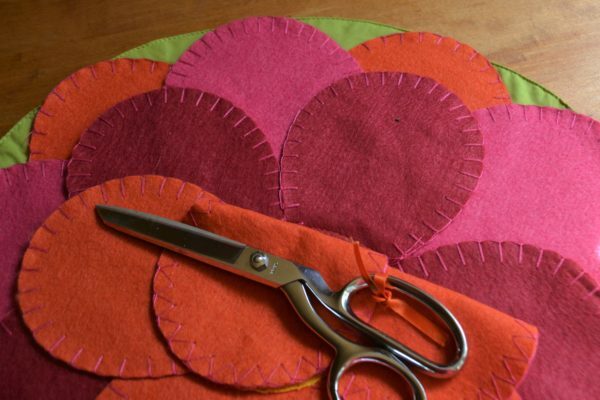 You can use this pattern to make a pretty flower pillow top if desired. To make the pillow see this link. See Step 2. 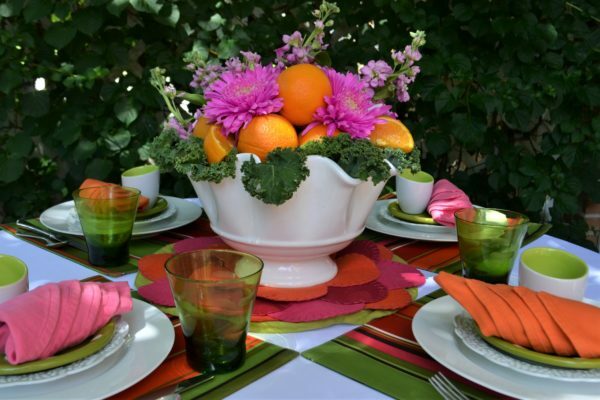 Check out How to Make the Fruit & Floral Centerpiece and Pineapple Napkin fold on this website. Let me know if you make this into a pillow or placemat.